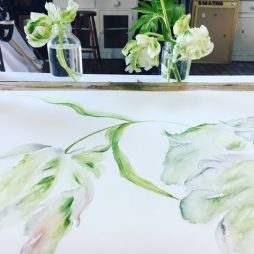 Clare is a floral artist and textile designer with a love for the painterly and softly hand drawn images and botanical designs. 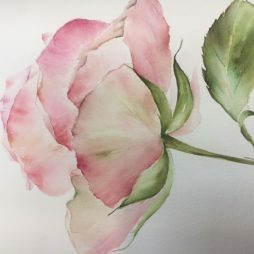 She grew up in Cheshire and her love of flowers and fine detail was apparent at a young age and went to study at Manchester College of Art and Design and then gained a degree in printed textiles from Loughborough College of Art and Design. Working in London, in various textile/design roles for luxury menswear & womenswear tailoring brands, a stint in LA, California for Samsung Textiles and a move to Scotland in a creative role for the iconic British heritage brand Mackintosh and Johnstons Cashmere led the way for Clare to utilise her commercial creative experience and establish her own studio and work as a freelance textile artist in rural Perthshire. 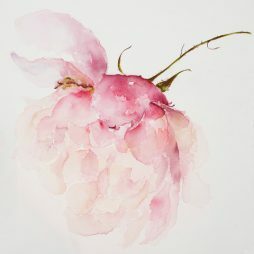 Surrounded by beautiful wild countryside and colourful gardens is now the inspiration for Clare’s work. 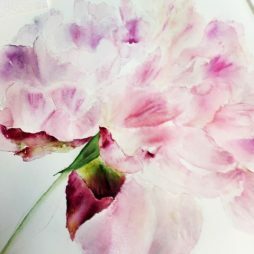 Expressive, delicate, subtle colours and oversized blooms are characteristics of her work and based on these original watercolour paintings they are then translated and created into interior pieces and accessories. 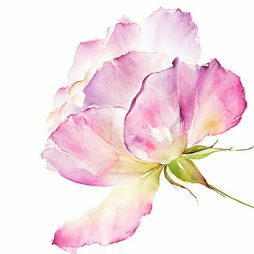 Her emphasis is to source beautiful and luxurious natural fabrics and using state of the art print technology to produce exclusive and elegant textiles that capture the feel and essence of every brushstroke and delicate tones. 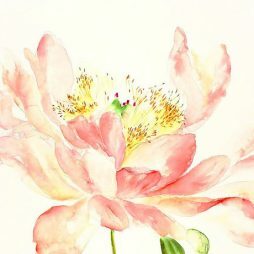 Clare exhibits her original paintings throughout Scotland and runs watercolour workshops at the RBGE Royal Botanic Gardens Edinburgh and other beautiful locations.